Finally a bit of wind while the camera was rolling! This is the narrower mkI version of the KDI. The KDI has this lug-sloop rig or a large balance lugsail alone. Draft (board up/down) 5" / 36"
Bruce Elfstrom, a friend, father, and small boat nut, drew the original KDI for his daughters. 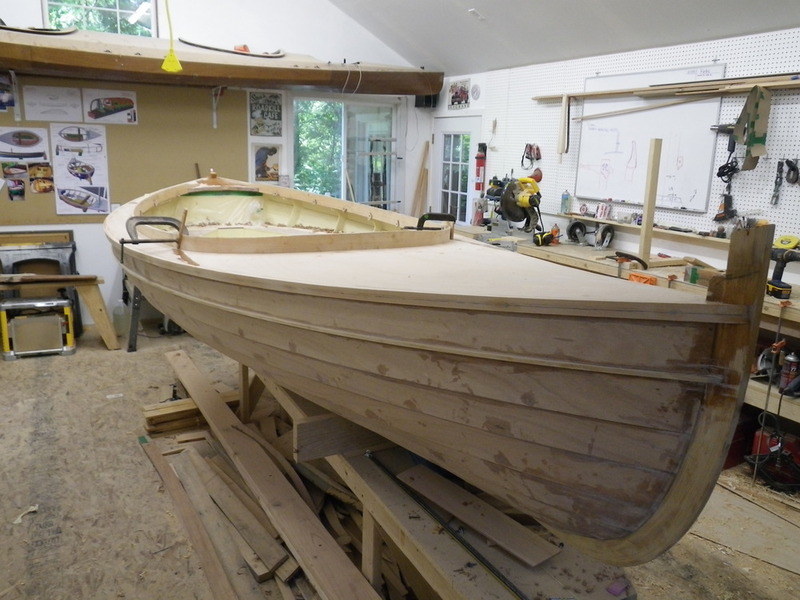 He was quoted in Small Boat Magazine, "I wanted them to have a big deck to jump off of, climb up on, swim off of -- to go out and just Swallows and Amazons stuff". That sums up the spirit of what was behind Bruce's thinking when he drew the KDI in 2009, inspired by the double-enders of Scandinavia and wanting a modern take on these classic work boats. What resulted was much more. 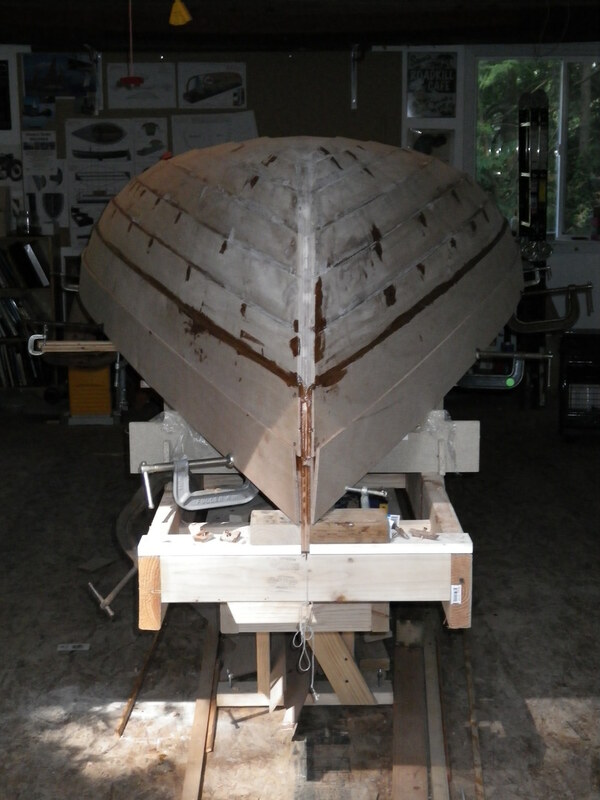 Many describe the KDI as a fusion of the Koster boat with Catboat. 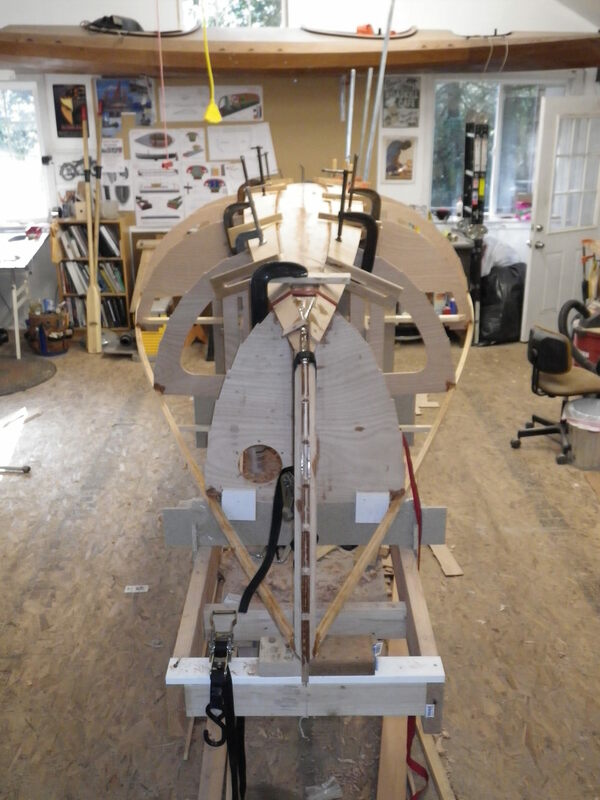 The boat is simply fast, with a powerful but not over-canvassed lug rig, and NACA-shaped foils for rudder and centerboard. The hull is very wide for its length which favors sailing speed. That said, the boat rows well because of its lightness and the ability of the aft part of the hull to act as a skeg, which helps the boat track. The oarlock-to-oarlock span of the boat does require 10-foot oars but Bruce uses his KDI's with 9-footers. Two rigs have been drawn for the boat and proven equally effective: a lug only sail and a lug-with-jib rig. A generous fore-deck and side deck makes for extra security and comfort when sailing. Bags and gear can stow beneath the fore deck as well as in side tanks via fitted hatches. The ends of the boat are enclosed and sealed to provide flotation. A wonderful feature of the boat are the floorboards, which can double as a sleeping platform for camping on board with a tent formed over the boom. The KDI build is an intermediate level project because of the shapely hull. Most KDI builders have built a boat before, but a motivated first-timer with some good skills could build it from the kit. 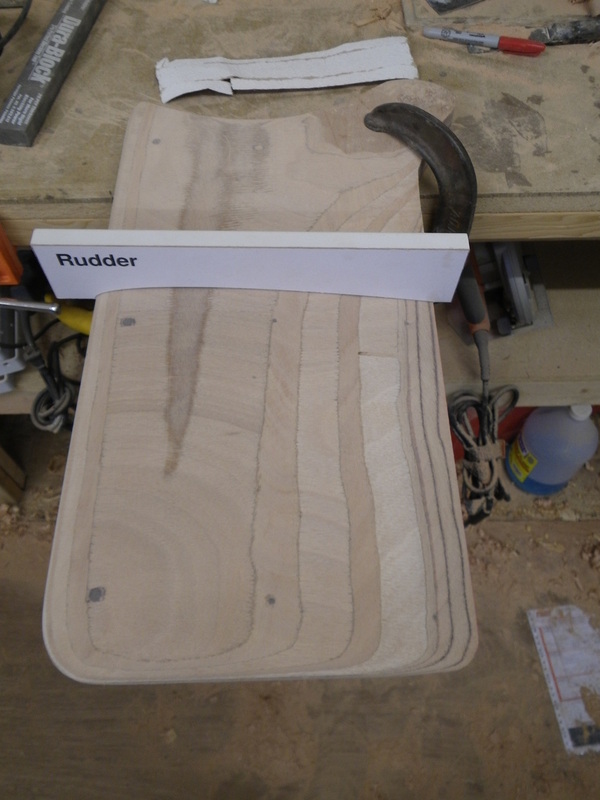 A strongback composed of precut chipboard is the building base for the boat. 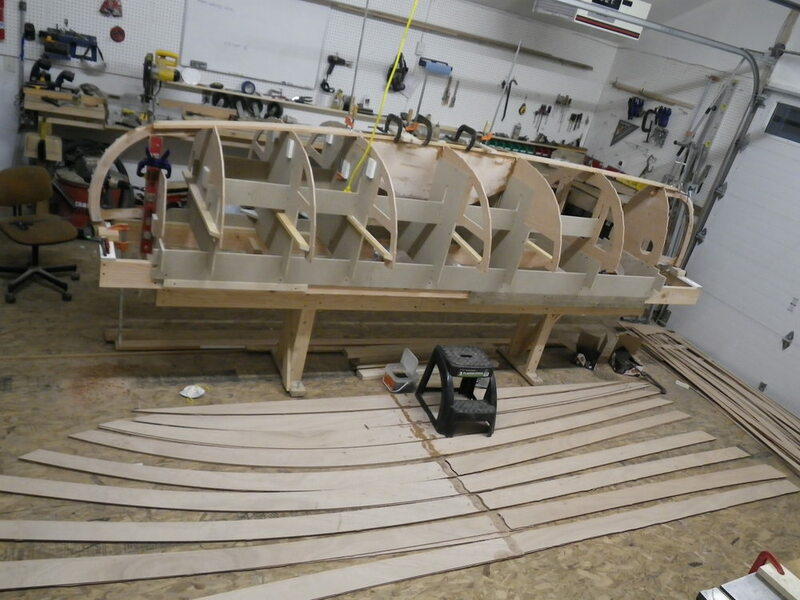 Bulkheads are part of the set up and planked over to form the shell of the boat. 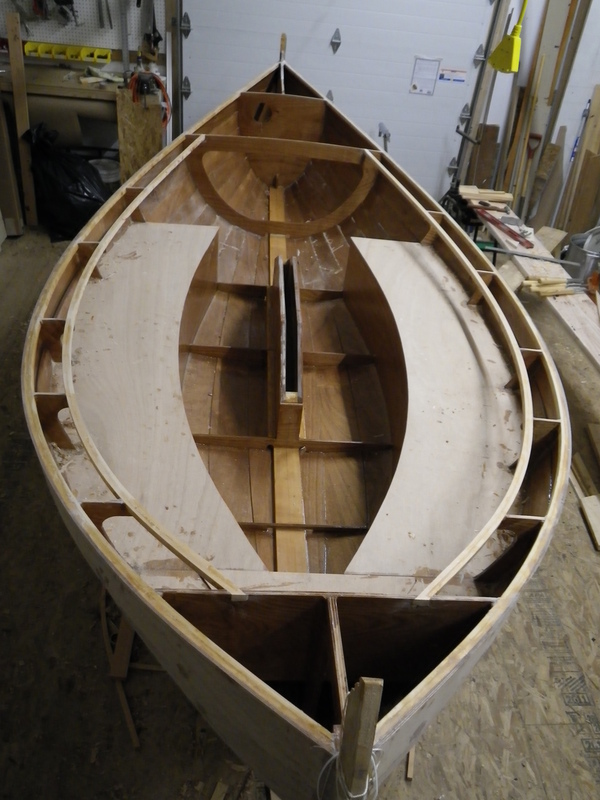 Upon turnover, the only structure left to build the boat are seats, deck, and trim. KDI general arrangement showing centerboard trunk, decking, and side seating.